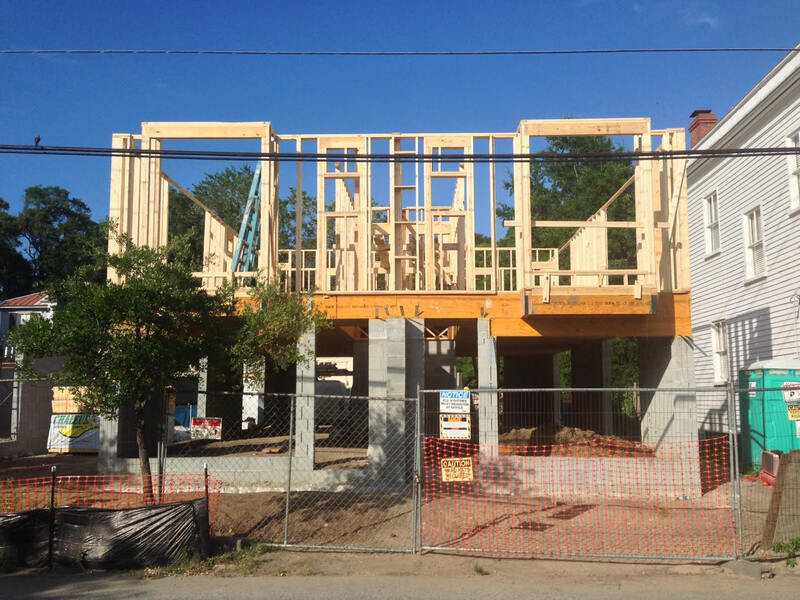 June 24, 2015 – If you were to ride by the site today, you’ll see HARLESTON row starting to look like a real home! The first floor of 62-A and 62-B are framed up. Note the huge window opening to the great room, and the charming square window opening giving light to the stairwell. Beautiful.